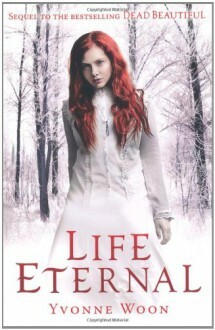 In this title life and death collide in the stunning sequel to the breathtaking "Dead Beautiful". Renee Winters has changed. When she looks in the mirror, a beautiful girl with an older, sadder face stares back. Her condition has doctors mystified, but Renee can never reveal the truth: she died last May, and was brought back to life by the kiss of her Undead soul mate, Dante Berlin. Now, her separation from Dante becomes almost unbearable. His second life is close to an end, and each passing day means one less that she will spend with the boy who shares her soul. Just when Renee has almost given up hope, she learns of the Nine Sisters - brilliant scholars who, according to legend, found a way to cheat death. She can't shake the feeling that they are somehow connected to her dreams, strange visions that hint at a discovery so powerful, and so dangerous, that some will stop at nothing to protect it. Renee thought she knew the truth about life and death. But there is a secret woven through history that holds the only hope for Dante and Renee. Unless they find answers soon, their time together is doomed to be cut short.